Some of the rarest prints of the Italian Renaissance have come together for a comprehensive American show. 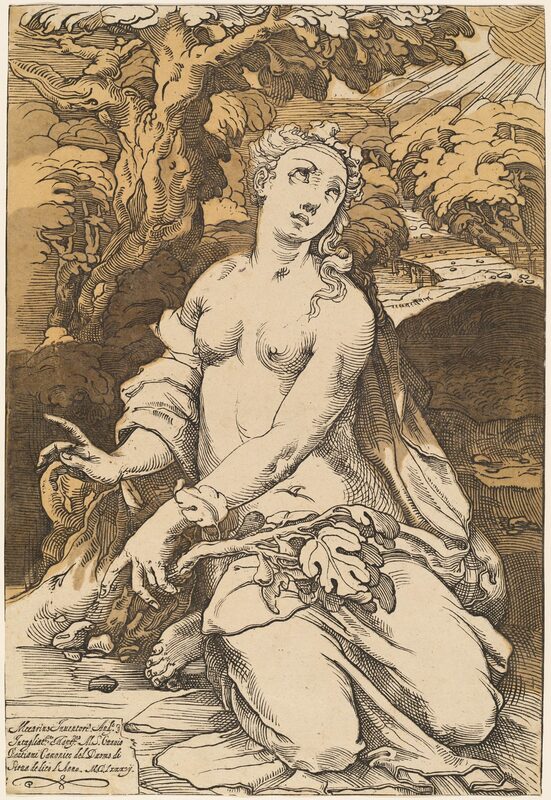 “The Chiaroscuro Woodcut in Renaissance Italy” presents around 100 prints, from American and British collections, at the National Gallery of Art (NGA) in Washington until Jan. 20, 2019. The exhibition opened at the Los Angeles County Museum of Art (LACMA), organized by its curator of prints and drawings, Naoko Takahatake, in association with NGA. Having recently opened in Washington, under the care of curator Jonathan Bober, the exhibition and accompanying catalog edited by Takahatake highlight new insights from decade-long research into the art of Italian chiaroscuro woodcuts, a highly regarded, but little-known type of early color printmaking. Chiaroscuro, Italian for light (“chiaro”) and shade (“scuro”), is more commonly referenced as a technique in painting whereby tonal contrasts are used to portray three dimensions, or to create a specific ambience. Leonardo da Vinci’s illuminating “Adoration of the Magi,” the dramatic paintings of Caravaggio, and the emotive paintings of Rembrandt all use chiaroscuro to some degree. 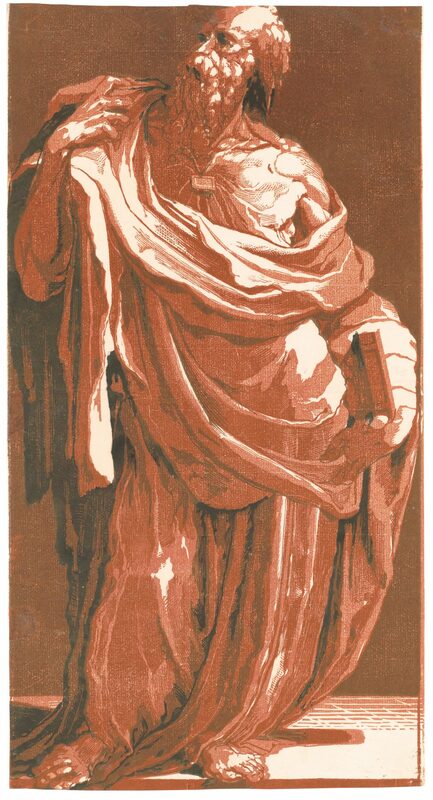 The chiaroscuro woodcut re-creates the light and shade seen in Renaissance drawings and paintings by applying a series of woodblocks, each varying in tone, to make a print. Not much is known about the history of Italian chiaroscuro woodcuts; many of the prints give no indication of the date they were made or the hands that made them. There is no clear commentary in history on chiaroscuro woodcuts except from the biographies written by the artists’ contemporary biographer, art historian, and artist Giorgio Vasari (1511–1574). 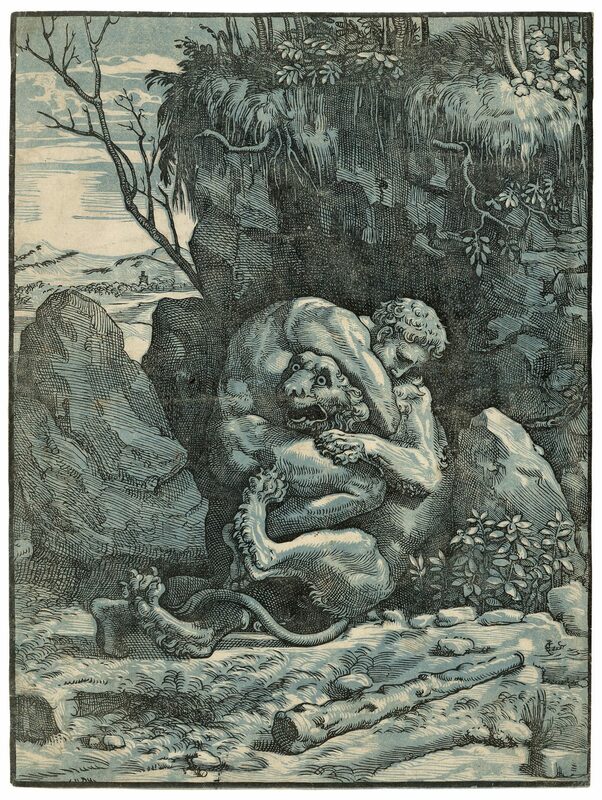 What is known is that Italy and Germany seemed to simultaneously develop their own versions of chiaroscuro printing. 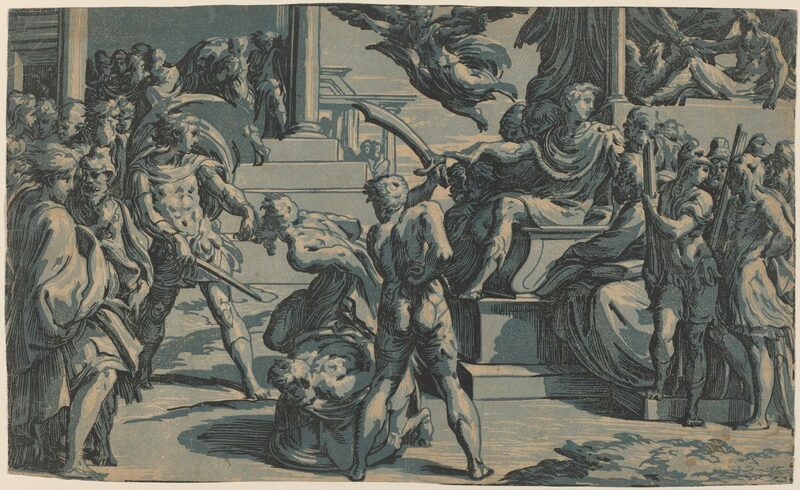 The exhibition shows the development of the chiaroscuro woodcut in Italy, focusing on the main chiaroscuro workshops and individual artists: their methods and materials, as well as the subject matter, style, and composition. 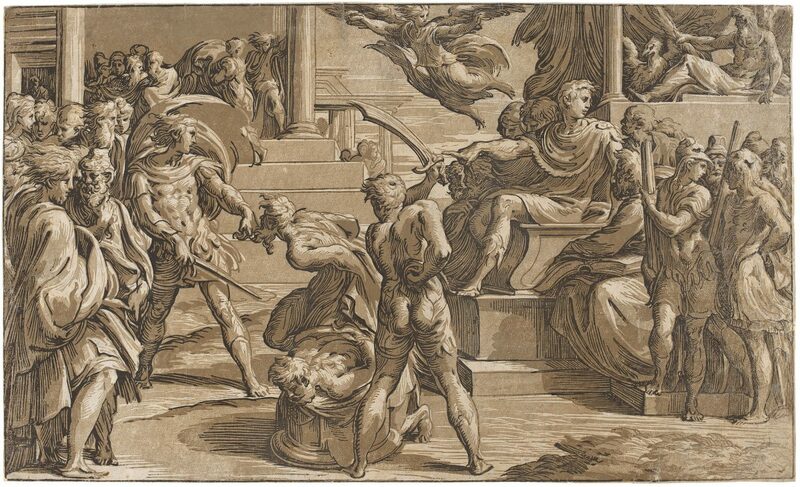 Italy’s chiaroscuro woodcuts began in Venice when Ugo da Carpi (born 1480 and died between 1520 and 1532) approached the Venetian Senate to protect his new printing method “chiaro et scuro” from being copied. In 1516, the Venetian Senate granted him an exclusive privilege, a patent of sorts, that seems to have secured Ugo’s position as the only chiaroscurist in Italy for more than a decade. 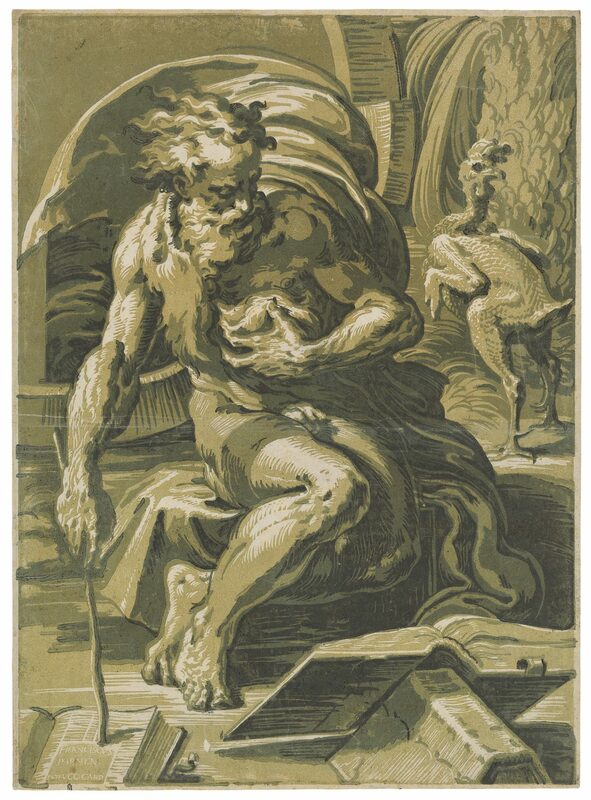 He developed the chiaroscuro woodcut technique from using one linear and one tonal woodblock to using a series of sometimes up to four tonal woodblocks. Ugo’s strong technical ability and collaborations with the likes of Titian and Raphael set a firm foundation for the chiaroscuro woodcut in Italy. Ugo’s most celebrated work, “Diogenes,” circa 1527–1530, was made in collaboration with Parmigianino (1503–1540) and is deemed the best example of any chiaroscuro. Parmigianino was an exemplary draftsman who skillfully executed his chiaroscuro woodcuts using fine inks and precise printing. He worked in Bologna between 1527 and 1530, engaging the printmaker Antonio da Trento, who fluently translated Parmigianino’s graceful designs. The workshop of Giuseppe Niccolò Vicentino (1470–1560), active circa the 1540s, became the highest producer of chiaroscuro woodcuts in the 16th century. The workshop developed efficient production methods, and its woodcuts were characterized by a strongly saturated palette. The majority of Vicentino’s prints were Italian designs from the mid-1510s to the late-1530s, including those of Raphael and Parmigianino. 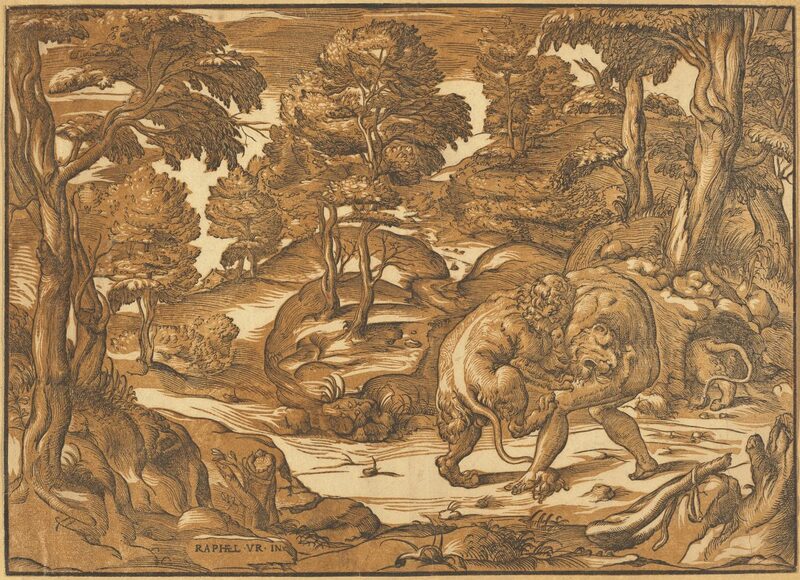 In the 1540s, the Sienese mannerist painter Domenico di Pace Beccafumi (1486–1551) used chiaroscuro woodcuts to express dramatic scenes, refining the chiaroscuro woodcut technique to take on his spirited designs with their exquisite play of light. Unlike his peers, Beccafumi designed and cut his own blocks, adapting the core chiaroscuro woodcut techniques to suit his vivid imagination and artistry; he used unconventional tools and cutting methods, and also changed the inking process. 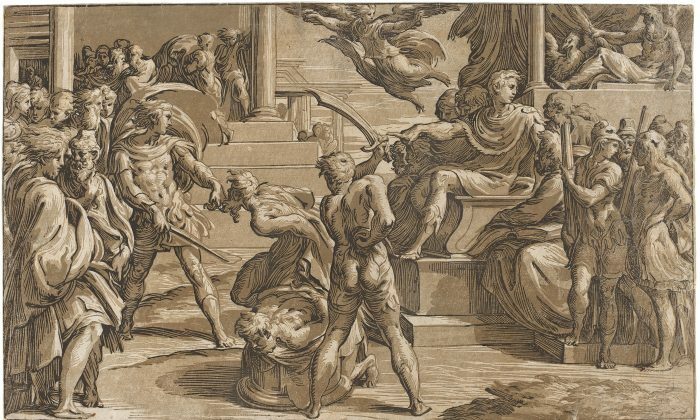 From the 1530s to the 1580s, Italian painters and printmakers continued exploring the chiaroscuro woodcut, as well as replicating the well-known mid-century designs of Titian, Raphael, and Parmigianino. 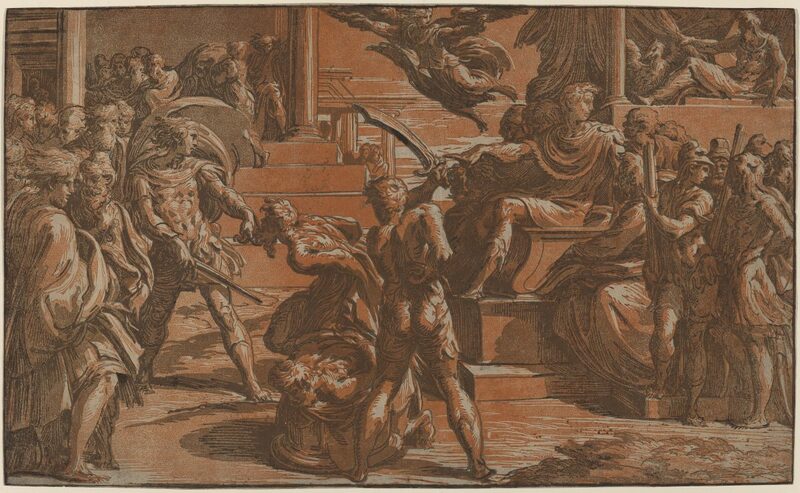 The technique was further adapted as chiaroscuro woodcuts spread outside the main artistic centers, from Cremona to Naples. Beginning his chiaroscuro woodcuts around 1583, Andrea Andreani’s (circa 1558–1629) monumental works made him the best of his time. For example, the “Triumph of Julius Caesar” (1599), after Andrea Mantegna, is made of 10 sheets and measures a colossal 14 3/16 inches by 12 feet 5 5/8 inches. 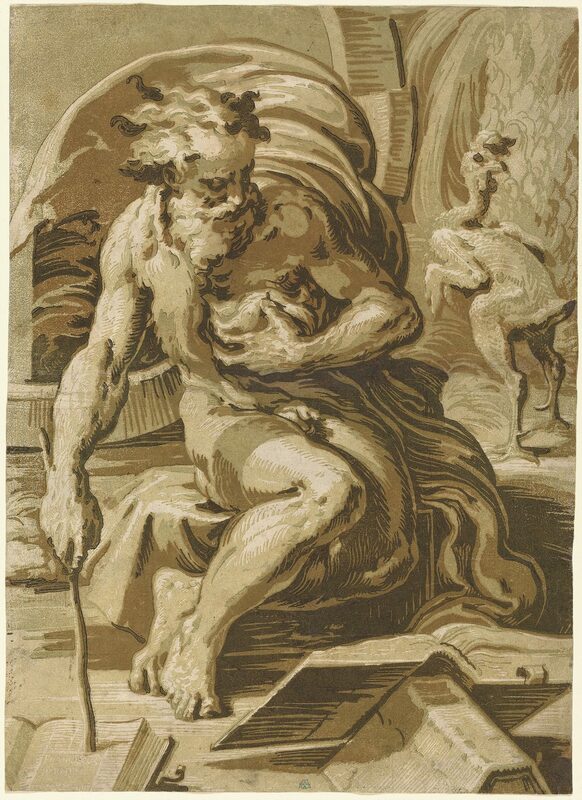 Andreani elevated the chiaroscuro woodcut by refining the technique and tailoring the designs to appeal to art connoisseurs and collectors. He achieved this by collaborating with highly accomplished artists of his day and replicating sculpture, bronze reliefs, and marble intarsia (inlay) designs, in addition to the traditional chiaroscuro woodcut subjects that replicated drawings and paintings. 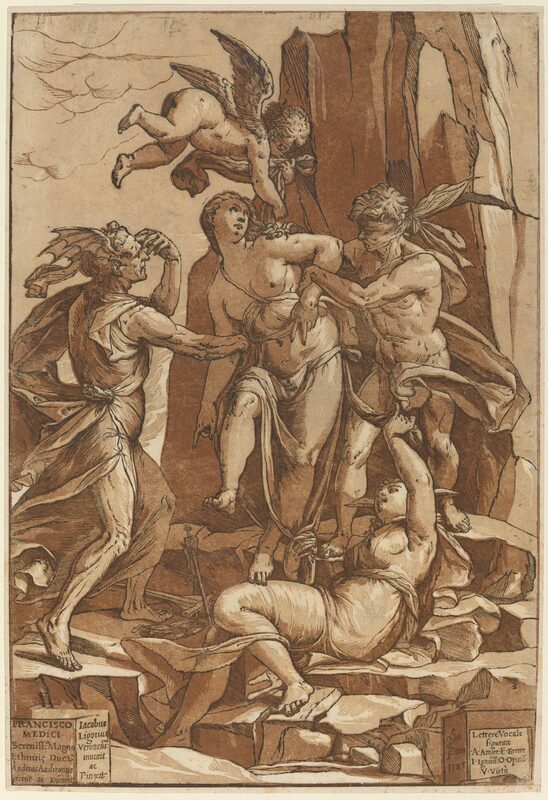 “The Chiaroscuro Woodcut in Renaissance Italy” is at the National Gallery of Art in Washington until Jan. 20, 2019.